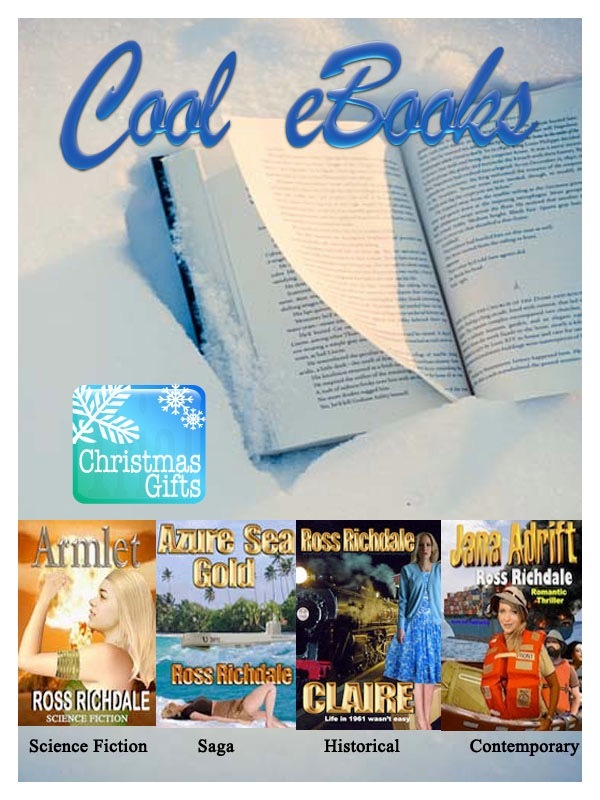 All our cool novels are $US2.99 at most top stores. The armlet Kolina is given by her dying grandmother has been handed down through her family for countess generations. The armlet connects her to Eboff, a computer with news that she is the descendant of a starship crew that crashed on the planet a millennium before. All the armlet bearers are needed to use technology to stop the the impending nuclear holocaust. But is it already too late? In April 1945 U-boat U-2072 carrying Nazi gold heads to Argentina. On board is Kapitanleutnant Friedrichand’s fiancée, Kristin Dassmer. The U-boat is sunk by American torpedo bombers off the Bahamas. Kristin finds herself in a lifeboat with Bern Munkelt, the man she is to spend the rest of her life with. They are rescued by Danardo Rolle and taken to a remote island where her adventures begin. The liberated 60s have not reached the shores of New Zealand when Claire, a single pregnant girl is sent up-country to have her child, which is to be adopted out. The Sloane family are strangers who offer to board her through this time. But are they? This is her story. Jana and Kelsie along with artist Rowan and an elderly couple, Hank and Denise are passengers on a container ship Konstellation on a three month Pacific Ocean cruise. Terrorists attack the ship and strip it. The five hide and later make it to an atoll. Problems arise when they attempt to live together. A month later a boat arrives but it is from North Korea. How does Jana cope?